An eleven-year-old girl stops eating, but remains miraculously alive and well. A nurse, sent to investigate whether she is a fraud, meets a journalist hungry for a story . 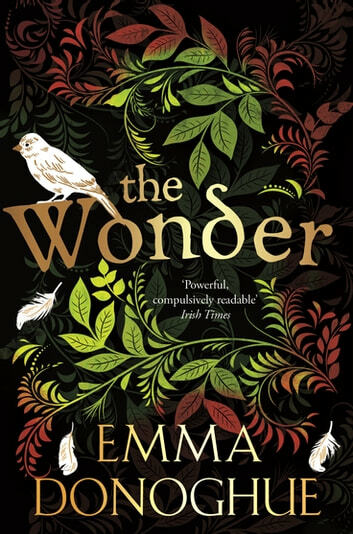 . .
Set in the Irish Midlands in the 1850s, Emma Donoghue's The Wonder – inspired by numerous European and North American cases of 'fasting girls' between the sixteenth century and the twentieth – is a psychological thriller about a child's murder threatening to happen in slow motion before our eyes. Pitting all the seductions of fundamentalism against sense and love, it is a searing examination of what nourishes us, body and soul. Briallanty written. Satire of the Catholic religion but also a great story. Couldnt put it down. A very interesting peek into a lesser known era of Ireland when people still tied ribbons to trees to appease the fae. 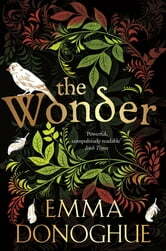 A good mix of history and fantasy, with the ethereal air of the Wonder herself.